Teresa Giudice is at the center of yet another controversy stemming from a photo she posted on Instagram of her 9-year-old daughter wearing a crop top. 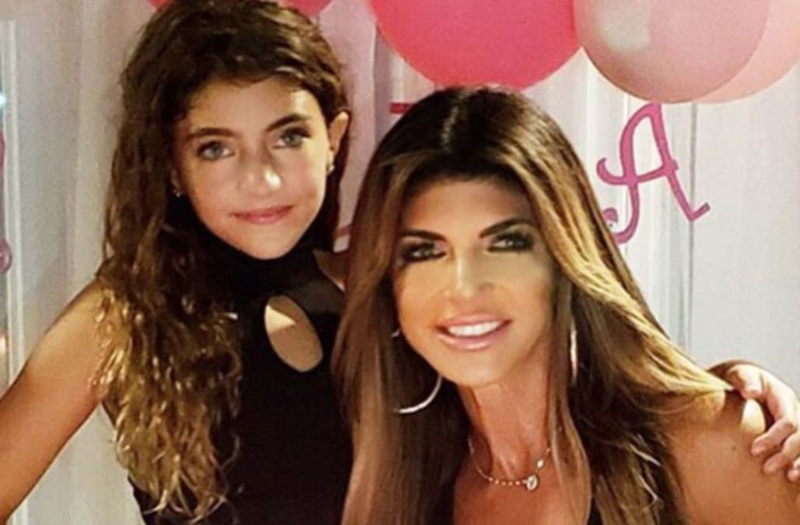 During her daughter Audriana’s birthday party on Sunday, The Real Housewives of New Jersey star shared ample videos and pictures of the birthday girl enjoying cake, Cuban food, and a mechanical bull at her party. But what people on social media are most focused on is the nine-year-old’s outfit, which was a pair of camouflage pants paired with a black crop top that also featured a keyhole detail. Despite facing a number of recent shaming instances from her followers — including criticism regarding Audriana’s full face of makeup — it’s evident Giudice pays little attention to the negativity. Other people also took issue with one of the mother’s prior posts, in which Giudice’s daughter is pictured with a birthday cake much larger than the one her nephew Gino Gorga received for his birthday. Gino’s mom Melissa Gorga later clarified that it was an extra little cake for her son, who had already celebrated his birthday a few days before.